News: (Carmel, California) The world’s most widely respected astrophysics organization, the International Astronomical Union (or IAU), has affirmed that it has no definition for any Big Bang model. A new record distance to a huge galaxy named GN-z11 has been observed and measured. It is dramatically farther than the previous distance holder. The constantly amazing Hubble Space telescope measured its distance spectroscopically at a Spectral line Redshift of 11.1. “We’ve taken a major step back in time, beyond what we’d ever expected to be able to do with Hubble. We managed to look back in time to measure the distance to a galaxy when the Universe was only three percent of its current age.” – Pascal Oesch, lead paper author. I’m painfully aware of abundant serious problems in physics of the largest phenomena, meaning “Standard” Cosmology-astrophysics (Big Bang/LCDM). Those include definitional and procedural problems, along with fundamental substantive errors and logical flaws likely created and nurtured by serious cognitive biases. However, for some reason, I assumed that physics of the smallest phenomena, Particle physics, was a very different story. 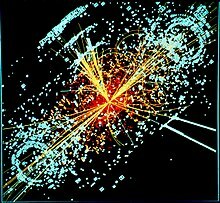 Perhaps due to my indirect and limited exposure to it, I always imagined particle physics as a gold standard where proper physics experiments are conducted. After all they’ve got laboratories to look at things closely with immense control, while we have to struggle with totally uncontrollable, ancient phenomena, no closer than billions of miles away. Concerning my nagging questions about particle physics, how all those ideas that just wouldn’t add up or make sense, I figured that particle physicists must know what they were doing, they were just dreadful at explaining their ideas . . . 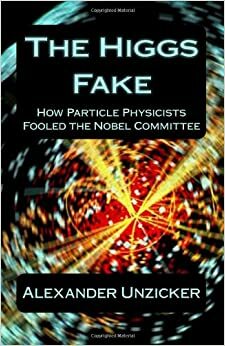 The Higgs Fake: How Particle Physicists Fooled the Nobel Committee by Alexander Unzicker, exposes my embarrassingly innocent belief that high energy particle research is built upon responsibly conducted experiments. This book, by an award-winning science writer, relentlessly exposes legitimate problems to the point where the credibility of high energy particle experiments almost fully evaporates and disappears. Reference: “Dark Matter Comes and Goes at April Meeting” – American Physical Society APS News. June 2013, Vol 22, #6, Pgs 1 & 7. This article is a summary regarding Dark Matter at the American Physical Society April 2013 Astrophysical Conference in Denver Colorado. 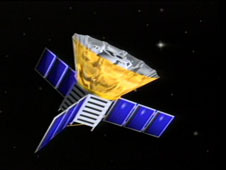 Various earlier reports regarding possible Mysterious Dark Matter detection all fizzled under scrutiny. But they will keep trying (as long as money is available). Reference: “Gigantic IceCube Tightens Limits on Theories that Predict Dark-Matter Particles” by Schwarzchild, Physics Today, May 2013, pgs 14-16. This image shows a “slice” of the Universe some 11 billion years back in time. The shape is that of the Hubble tuning fork diagram, which describes and separates galaxies according to their morphology into spiral (S), elliptical (E), and lenticular (S0) galaxies. On the left of this diagram are the ellipticals, with lenticulars in the middle, and the spirals branching out on the right side. The spirals on the bottom branch have bars cutting through their centers. The galaxies at these distances from us are small and still in the process of forming. 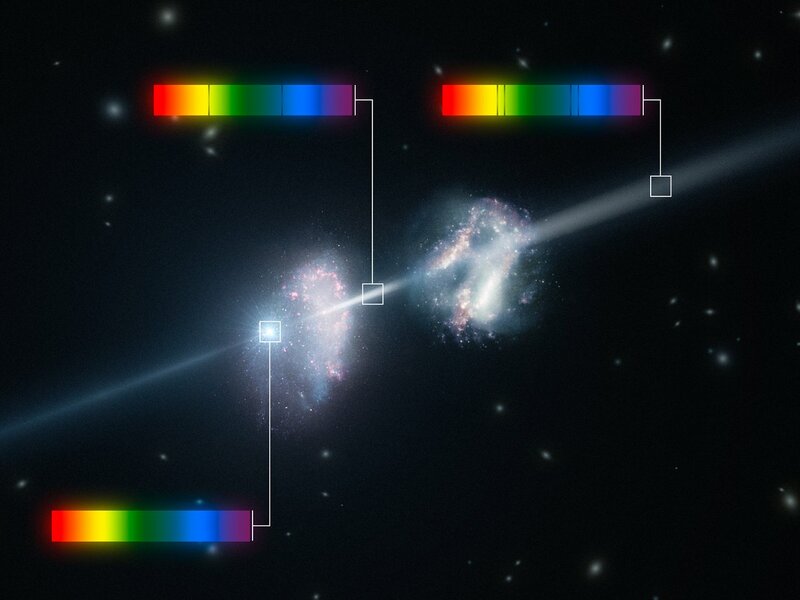 This image is illustrative; the Hubble images used were selected based on their appearance. The individual distance to these galaxies is only approximate. A research team led by Bomee Lee of University of Massachusetts reported that ~11 billion years ago large galaxies had the same ratio of young (blue) to old (red) galaxies. (c) Copyright 2013 Louis MarmetThe WMAP estimate of the age of the Universe, 13.77 ± 0.06 Gyr (billion years), is challenged once again by two recent publications. The study of a nearby star shows that it is older than the Universe. The other study finds that starburst galaxies already existed one billion years after the Big Bang. These new results add weight to the arguments that the Universe is much older than claimed by some cosmologists. The first study reports new measurements made on a star called HD 140283. This “Methuselah” star, located only 190 light-years away from us, is estimated to be 14.4 ± 0.8 Gyr-old. The improvement in the estimate of its age results from a more accurately known distance to the star obtained from parallax measurements using the Hubble Space Telescope. 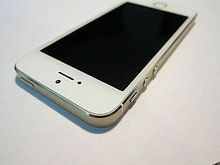 The more accurate determination allows a better measurement of its absolute luminosity. Using the luminosity, the known composition of the star from spectroscopic data and temperature measurements, models of stellar formation allow a reevaluation of its age. A team of astronomers have reported the discovery of the oldest spiral galaxy known so far. What makes this discovery interesting is that this grand-design spiral galaxy already existed 3 billion years after the Big Bang when the universe was too hot and chaotic to allow such a regular structure to survive long enough to be seen. Usually, galaxies born this early after the Big Bang look clumpy and irregular. When the astronomers saw the regular spiral arms of this unusual galaxy, they studied it further with the Keck Observatory in Hawai’i. The results confirmed that grand-design spiral galaxies existed at a very early age of the universe. said Rolf-Dieter Heuer, the director general of CERN. While CERN’s spokespeople were reasonably tentative in their description (they called it “Higgs-like”), they did not exhibit as much caution as the OPERA folks did when announcing the evidence for potentially faster than light Neutrinos. This time CERN went to a lot of skillful effort to make it a media circus – and succeeded. 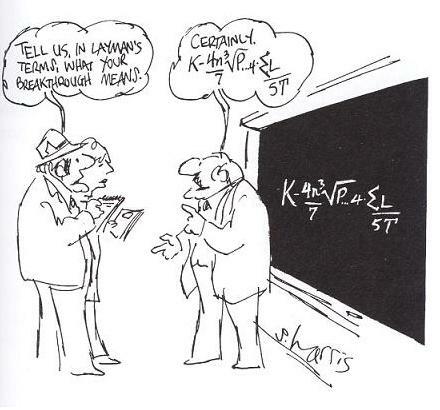 But did they find a Higgs particle?